I’m not a Crockpot Diva. As a home-based freelancer I’m generally on hand to supervise whatever is simmering away on the stove. But I do have my faithful crockpot parked in the basement, which I take out for a spin once in a while. 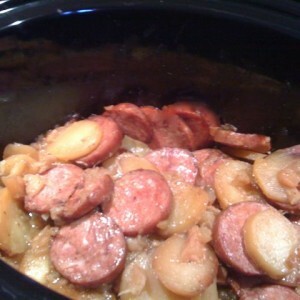 Or to save a near-death kielbasa like here. 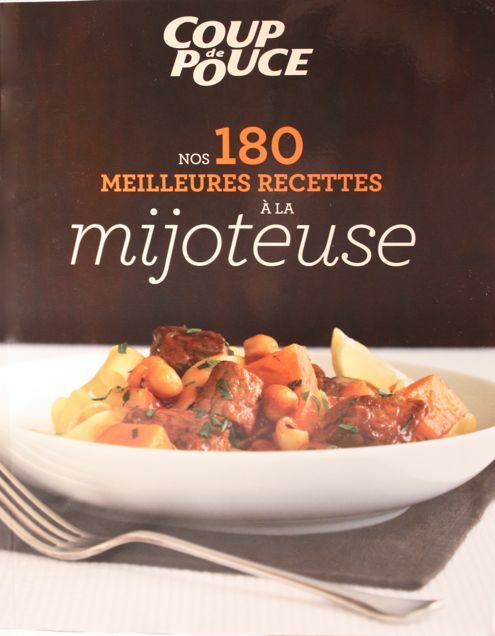 So when I received “Nos 180 meilleures recettes à la mijoteuse”, the last cookbook from Québec’s Coup de Pouce magazine, I was pretty happy thinking I might find some inspiring recipes to warm up the family through the coming winter. Can you spell comfort food? • how to prepare leftovers for freezing, etc. The kind of hints I liked best? Advice like how you should use your crockpot as a serving dish for your Holiday buffet. Never thought about that one! Or did you know that every time you lift that crockpot cover to check on the food, you need to add 15 to 20 minutes to the cooking time? Like the cat said, curiosity doesn’t pay. Just in time for the Holidays, a few recipes here are nicely suited to a festive menu like cocktail-ready tamari almonds or a cranberry red wine toddy. You will of course find crockpot classics like stews and soups as well as corned beef, sauerkraut, meatloaf, plus a vegetarian section with braised tofu, veggie tacos or black bean chili, all great for that Meatless Monday resolution of yours. Finally, a (very) short dessert section provides some inspiration with rice pudding and chocolate fondue to serve, how else, directly in your crockpot. Hey, I’m getting the hang of this. 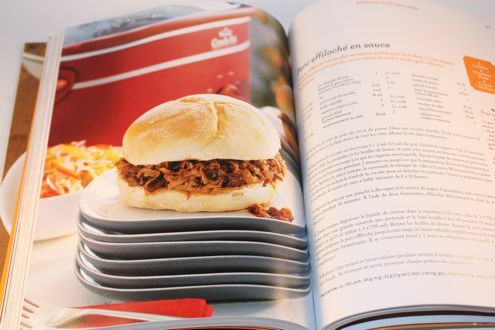 After reading many tweets from people cooking their shredded pork in the crockpot, this burger recipe screams: Next, please! 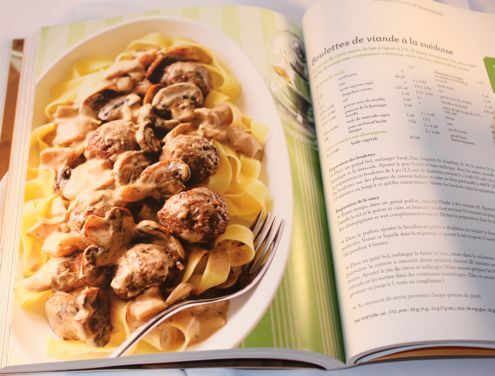 Of course, you can’t review a cookbook without trying at least one of the recipes—in this case the Swedish meatballs—a welcome suggestion since Monsieur was becoming Ikea-obsessed and not about the furniture. Anytime I can avoid a cafeteria, yes even Ikea’s, count me in. So these meatballs were a tasty way out, although the texture could have been more tender. 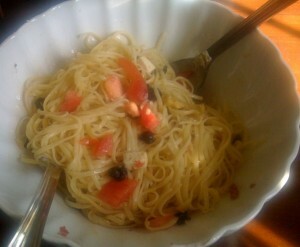 The flavours were spot on though, so I expect I’ll be making these again, I just need to fiddle with the cooking time. Bon appétit! 1. Meatballs ••• In a bowl, mix all the ingredients except meat. Add in ground pork and mix again. With your hands, fashion into small meatballs, each 15 ml (1 tbsp) or so. 2. Transfer to greased baking sheets and cook in oven preheated to 200°C (400°F) from 10 to 15 minutes or until firm. Pour into crockppot. 3. Sauce ••• While meatballs are in the oven, heat oil in a large skillet over medium-high heat and cook mushrooms, dill, salt and pepper, 10 minutes or until all liquid has evaporated. Add to meatballs. 4. Add beef broth and evaporated milk. (Here the recipe said to deglaze the pan using the broth but, with no meat, there is nothing to scrape off so don’t bother.) Cover and simmer on low 4 hours. 5. In a bowl, mix flour and water, then stir into crockpot. Cook on high for another 20 minutes until sauce has thickened. Add lemon juice. 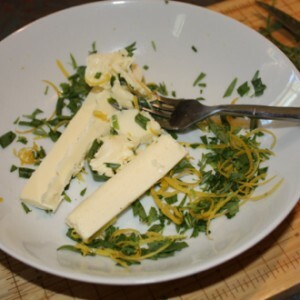 Serve with parsley garnish. 6. Note: When frozen, these meatballs will keep 1 month or so (according to the book, hum, I never freeze creamy sauces, do you?). You can expect them to last 3 days or so in the refrigerator. Merci Lynne pour ce billet fort élogieux! Aurai-je l’occasion de faire ta connaissance, live, ce samedi lors de #bellesabloguer? Ça fait plaisir et c’est pensé. J’aurais bien voulu, ce samedi, mais mon mec bosse les samedis donc je suis monoparentale 🙂 Une autre fois, sûrement ?